Despite the hiring model applied to the specialists, all of them are subject to governmental protection, since, all the employees or those signing labor agreement/contract need to know their rights for vacation and sick leave compensations. The matters have been topical for any industry, and, rather sharp for IT in particular. Considering the type of employment (for IT there are the two major: labor contract and basic employment), the specialists work under certain conditions. Firstly, if a person is employed according to the current legislation, which presupposes that a person, depending on the working experience has the right for being on a compensated sick leave. If a person is to work under the contract, all the specifics of the job are to be provided in the agreement to avoid legal actions in case of misunderstanding in the future leading to violations of the terms of the agreement. So far, many IT companies are working on the grounds of agreements with both clients and developers, since the practice turns out to be the most favorable and beneficial for the parties. If to take a closer look at the terms of leaving the job, again, if you are working under the contract, all the regulation for this issue are obligatory to be followed. For future benefits for both parties, such points as finishing a project due to anticipatory termination by any of the parties should be concluded on the terms suitable for everyone. Since there is no particular model for dissolving an agreement, all contracting parties conclude them the way they want. So why is this model seemingly the best option? Firstly, the employers and employees have a chance to agree on the conclusion of preferable conditions satisfying the two parties. Secondly, taxation is cheaper since practically all Ukrainian developers are single taxpayers, which is another benefit for the company. Whilst, if the person is employed on the general grounds in accordance with the current legislation, he or she is obliged to follow certain regulations (however, the practice shows, the last are sometimes regulated by the mutual consent of the parties). For instance, in Ukraine, you can leave your job only after informing your employer two weeks beforehand. For IT, in case you are a senior developer, you are given one month to finish the project and only then leave. If it happened that did not use your vacation or days off, you are to be compensated for these as well. Sometimes employees demand explanations of why you decided to leave. You can explain, however, you are not obliged to. Since, the attrition level reaches 15%, the crisis itself did not harm the industry that much. The employers did not reduce their staff drastically, and the employees did not quit their jobs massively. The military state, indeed, caused a great number of specialists moving abroad, however, the tendency slowed down as the industry develops and the necessity of leaving has disappeared. Vacation in Ukraine amounts to four weeks in total. However, many companies do not allow to take it completely the whole, thus, usually, this period is divided into several shorter periods. This the model applied in IT sector. As far as IT industry mainly works with Europe and the USA, the project cannot be stopped due to such a long period. That is why, for the sake of clients, Ukrainian IT specialists go on vacation in order not to exceed the estimated period of the project release. This is one of the reasons why Ukrainian companies are considered among the most reliable. The maximum period allowed to be taken is two weeks. The rest two weeks are usually divided into shorter parts. Concerning the compensation, the vacation is paid under the agreed terms. 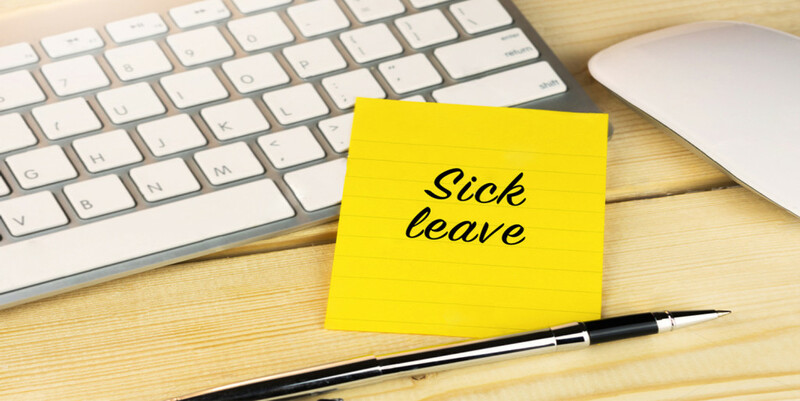 And, finally, the last but not least to be discussed is sick leave. This thing is usually missed by many companies. The point is that those working on the ground of hourly payment, are not subject to the rule of paid sick leave. However, this model is rather popular among the IT sphere workers. If speaking about official job in state institutions and organizations, companies and firms, then this depends on the experience of a specialist. Thus, before getting employed, all the aforementioned issues are to be pre-discussed to avoid possible legal actions between the employee and employer. Does not matte which type of occupation you prefer, there is always time for careful consideration and analysis of the offered job, its benefits and perks.